Buddy Vs Duff is a cake-baking competition show that first premiered on March 10, 2018 on Food Network. 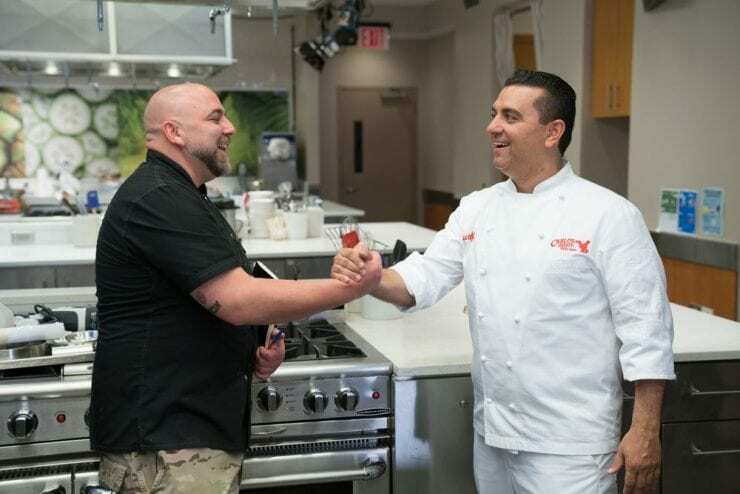 Renowned bakers Buddy Valastro — from TLC’s Cake Boss and Duff Goldman — from Food Network’s Ace of Cakes, battle each other in 6-week-long competition ultimately determining who would be the baking king between the duo. The challenges thrown at the duo test every aspect of baking — ranging from baking techniques to taste and design skills. Buddy vs Duff Cast: Who is in it? The main showstoppers in this reality program are acclaimed cake masters and pastry chefs Duff Goldman and Buddy Valastro. Jeffrey Adam aka Duff Goldman was born in Detroit, Michigan and held an interest in cooking from the age of fourteen — when he started working in kitchens and bagel stores. When he was still a sophomore in college, he applied for the position of a cook in the best restaurant in Baltimore, Charleston. However, the head chef – Cindy Wolf didn’t find his resume impressive and offered him a job which would involve making cornbread and biscuits. So, to polish his cooking skills further, Goldman joined institutes such as the Corcoran College of Art and the Culinary Institute of America to work and learn under expert chefs. Finally, in 2010, he started his own baking business — Charm City Cakes — which specialized in unique, unusually sculpted cakes. He then progressed to make cakes for several celebrities and in 2009, released the book Ace of Cakes: Inside the World of Charm City Cakes. Goldman’s work has appeared on the Food Network Challenge, Iron Chef America, Oprah, The Tonight Show with Jay Leno, and Man v. Food. Bartolo aka Buddy Valastro was born on March 3, 1977, in New Jersey. He started working at his family-owned Carlo’s Bakery from 11 years of age and succeeded his father after his death. The shop has also been featured on Cake Boss. Carlo’s — after gaining recognition from the show — now has 17 additional branches. Valastro specializes in everything — ranging from catering to corporate events to family gatherings, weddings, and galas. He has also featured in other shows like Kitchen Boss, The Next Great Baker, and Buddy’s Bakery Rescue. Apart from the duo, other prominent appearances on this reality show include popular chefs as special guests and judges. Some of the notable names are Sherry Yard — also an acclaimed pastry chef — who was on the judges’ panel in The Great American Baking Show — and Spice Girl Emma Bunton, alongside Keegan Gerhard — chef of Food Network Challenge. They are frequently visited by prominent celebrities like Florian Bellanger, Kevin Delaney, Christina Anstead, Hannah Hart, Waylynn Lucas, Penn & Teller, Gesine Prado, Richard Rawlings, and Aarti Sequeira. Each of them play a crucial part in determining the final winner. Buddy vs Duff Plot: What is it about? The intense 6-week long competition tests both Buddy and Duff to use their creativity to the fullest as they whip out the most amazing, striking, and unique baked specimens. Each episode comprises of two rounds. The first round — namely Bake Off — asks the duo to recreate their family-favorite recipes. Second is the Cake Off round, where they use their imagination to carve out the most awesome, edible, and baked sculptures. Not only this, there are other challenges that come their way as well — ranging from making carnival treats to curating complex Bollywood-inspired cakes. Wait! It does not end here. They also have to cater to the demands of customers during the morning rush hours at the famous Randy’s Donuts in Los Angeles. Additionally, the duo have to carve out-of-the-world desserts from a group of dog enthusiasts and try to impress a couple on their Dday with the best wedding cake. There’s more yet. Just watch the show to know! In the final face-off during the finale, Buddy and Duff set their minds at work to make the most impressive, monumental, chocolate cake — that can hide wedding rings. For the second round, they head back to their respective shops in order to arrive at the best space-themed cake. Buddy vs Duff Season 2 Release Date: When will it premiere? Buddy Vs Duff Season 1 premiered on Food Network on Sunday, March 10, 2019. The six-episode season finished its run on April 14, 2019. As far as the next season goes, we don’t have an official announcement yet. 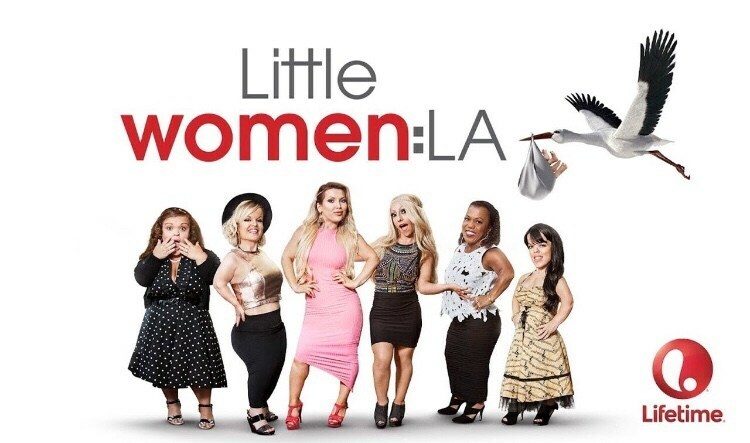 Though considering the popularity of the show, we would be surprised if it doesn’t get renewed. Our best guess is that if the show does get renewed, Season 2 of Buddy vs Duff can release sometime in March 2020. We will update this section as soon as we hear more. You can get an inside view of the show here. You will also be able to get a real-time view of the behind-the-scenes activities, along with bonus backstories in the above link.